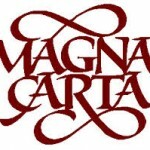 2015 will commemorate the 800th anniversary of The Magna Carta and Scene Change Theatre Company will be marking it with a new Play in a Day project called “Magna Carta” suitable for Key Stage 2 and 3. The Magna Carta “Play in a Day” Project uses a number of educational techniques over the course of the day to teach young people key elements of Medieval British history in line with the KS3 National Curriculum. Children will be introduced to important historical characters in 13th Century Britain such as King John, The Ruling Barons and a largely peasant and agricultural society. Through the narrative of the play and interactive workshops the children will be introduced to historical concepts challenging them to make connections and draw contrasts in areas of continuity and change, (The challenge to Kingship), cause and consequence, (People power and revolution), similarity (The miss-use of Power structures), difference and significance, (Legacy of the Magna Carta) all in line with the KS3 National History Curriculum. The story of the creation of the Magna Carta is in line with the History National Curriculum for KS2 in studying an aspect or theme in British history that extends pupils’ chronological knowledge beyond 1066. Magna Carta will orientate pupils through the workshops and play to place the signing of the Margna Carta in 1215 into context both in 13th Century Britain as well as in the sweep of history through to today. 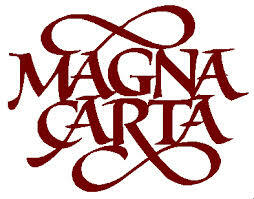 “Magna Carta” will transport young people back to Medieval Britain into a society who lived from hand to mouth and whose well-being was determined by the whims and will of a King who cared more for winning battles in France than representing his subjects back home. Children will join a revolutionary campaign led by the Barons to oust King John and witness first-hand the monumental event of the signing of the Magna Carta by the King at Runnymeade. This event in itself was quite unspectacular and was soon refuted by the King but the mold had been cast and children will journey through time to witness the impact this “Great Charter” had on subsequent history both on these shores and beyond.